Tool has been a favorite band of mine since 1993, the year they released their first full-length album, Undertow. This makes me one of Tool's original fans, unlike the bulk of their fanbase, which came to them some years later, and which ended up supplying most of the album sales for the "nu metal" and "rap/rock" bands of the '00s. At some point, I will have to write a post exploring the development of Tool from being an anti-metal, indie-grunge band, famous only for having a weird frontman and playing well at Lollapalooza to being perhaps the foremost progressive metal band of their time. But not today. The reason I was at Kingsknight Pub that night was because they had managed to book King's X in concert, and to this day that concert remains one of the best I'd ever seen. I got to meet Ty and Doug, Jerry played an incredible drum solo, I spent the whole concert front-and-center... It was just an amazing time that I will never forget. But before the concert, we were sitting in a booth - myself and a couple of friends and fellow band-mates. Since Tool is a favorite of mine, I already knew that 10,000 Days would soon be released, but I hadn't expected to hear a new Tool song that night - their first in about five years. From the opening notes, I new that "Vicarious" was destined to be another classic Tool song. As soon as I could, I found my way to a record store (most likely the now-defunct A&B Sound, on the south side of town) and purchased my copy of the new Tool album. I hurried home, put the disc into my player, and hit play... there was "Vicarious..." Next came "Jambi," and I was excited to hear the rest of the record. But as "Wings For Marie, Part 1" opened and then the rest of the album subsequently played itself out, I found myself disappointed by a Tool album for the first time ever. Why disappointed? The album seemed so modal, so stream-of-consciousness, so unstructured. What I had always loved about Tool was their songwriting. What makes a song like "Bottom" so good isn't the quiet grooving over spoken-word in the middle, but the tight song structure book-ending it. What always set Tool aside from some of the other bands like them was that they were able to find melodies and changes in their music that gave the listener more harmonic content than one might otherwise expect. Note, for example, that a great many Tool songs never change chords at all. The band might alternate between two or three different riffs that outline the same chord, but the underlying chord tends not to change. One really great aspect of Maynard James Keenan's vocal melodies is that, in the past, he's been able to vary his melodies enough that other chords are implied by what he's singing. That's great, that's important, especially when the instruments aren't doing that work themselves. But on 10,000 Days, a lot of that seemed to have been traded for primarily modal music. During the song "10,000 Days (Wings Pt. 2)," for example, the band doesn't effectively change chords until nine minutes into the song. For a guy like me, who has a real thirst for harmonic diversity, this felt like a bridge too far. Then there are Keenan's vocals. I always felt that the vocals on Lateralus could have been stronger. His vocal range seemed to have shrunk, his screams seemed weaker - and more sparse. He seemed less plugged-into the songs. And, yes, the melodies suffered for it, too. But Lateralus was still an excellent record, and the vocals on 10,000 Days seemed to have only worsened on all of these levels. The band, meanwhile, was still strong. 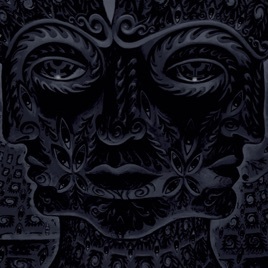 10,000 Days features some of the nicest, crunchiest guitar tones Adam Jones has ever given us. Justin Chancellor's bass tones, which have always been aggressive and brilliant, are no less so on the record. If anything, the band's two stringsmen really stepped up their game on the record... If only the vocals had kept up. Of course, the centerpiece of Tool's music has always been the drumming, and that drumming has always been progressive and experimental. Initially Danny Carey's experimentation was with beats, but as he developed as a drummer, he began to incorporate new sounds, new ways of playing drums, new concepts. He famously wrote beats based on mathematical formulas, he tried to free himself from the confines of playing in time, he pushed and pushed until he was a man who stood more or less alone in the landscape of drummer. On 10,000 Days, though, he seemed to have not pushed quite as hard. Since 1996's Aenima, Tool had been experimenting with intra-song segues. I recall reading a review of an advanced copy of Aenima in which the reviewer compared the segues to the famous "track #69" on the Undertow album and concluded that it was about the same amount of album space dedicated to something other than music, only instead of providing it lump-sum, as on track #69, the band spread the material across the entire album. As the albums progressed, the segues and non-songs became more elaborate, and on 10,000 Days I found them almost over-bearing. In a sense, this last criticism is not fair. Just because I want to hear an 80-minute block of music in one sitting when I listen to CDs doesn't mean that's what the the band wants to record and provide as an artistic statement. Still, it seemed at the time that the band's artistic vision was going further and further afield of what originally drew me to the band in the first place. And that's fair enough. One is under no obligation to love everything a band releases, even if it happens to be a favorite band. Maybe it was just me. Having said all that, I've now had nine years to digest this album, and I must admit that it has improved with age. All my original criticism still applies - the segues are too long, there is too much wasted space between the "good parts," the songs are too modal, too unstructured, too few chords and riffs - but rather than feeling disappointment about that, I just see 10,000 Days as being another CD in my record collection. I'll listen to it and enjoy it occasionally, but I won't leave it in my car and listen to it repeatedly for weeks, as I do with my favorite records. And, truth be told, there are two or three incredible songs on this record. As silly as the lyrics are, "Roseta Stoned" is a brilliantly creative song, featuring some brilliant riffs, excellent drumming, and a highly creative and well-delivered vocal concept. More than any other song on the album, "Roseta Stoned" reflects the Tool of the early nineties, the hungry, ambitious, and progressive band that still maintained an unflinching sense of humor. "Vicarious" gets me excited every time I hear it - and always had. Surely an album with great songs like this can't be all bad. And it's not. It just wasn't the Tool album I expected after a five-year wait. Neither will Tool's next album - but there will always be something to love about them.